Margate Civic Society is inviting people to join up. The society was founded in November 1968, when several passionate individuals decided to get together, in response to concerns regarding the comprehensive development of historic but rundown town centres. They asked interested people to join them in proposing conservation areas for the town, one of which was the Hawley Square Conservation Area. Although the Society has modernised in recent years, they maintain those traditional core values and the purpose and aims continue to encourage high standards of architecture and town planning in Margate and its environs. The society wants to stimulate public interest and care for the history and character of the area and to encourage the preservation, development and improvement of features of general amenity and historical interest. In December the society celebrated its Golden Anniversary with a social eveningcelebrating all things “1968.” It included a members’ photo quiz, postcard and fashion video, films, poetry, quiz, music, refreshments (including pineapple cheeses!) and a raffle, which was very successful. Special guest was Arnold Schwartzman OBE, RDI, an award-winning documentary film maker, internationally-renowned graphic designer and author, who attended with his wife and daughter. 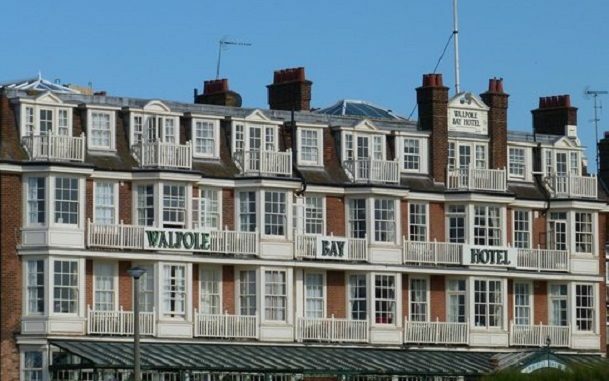 Following a break in January, the first meeting of the New Year, will be held in the Ballroom at the Walpole Bay Hotel, Fifth Avenue, Cliftonville today (February 7) at 7.30pm. Attendees are requested to be seated by 7.15pm. The meeting will start with Members’ Notices, after which guest speaker Imogen Corrigan (Lecturer on Anglo-Saxon & Medieval History of Art) will be giving a talk entitled “The Dregs of the People Remain – The Black Death and its Aftermath” followed by an opportunity for any questions. As always raffle tickets will be on sale (£1.00 per strip or 6 for £5.00) with the draw taking place at the end of the evening. All are welcome – nominal entrance fee is £3 for non-Members.